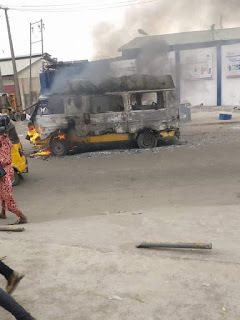 Home Crime News Breaking: Lagos Conductor Stabs Igbo Boy To Death. 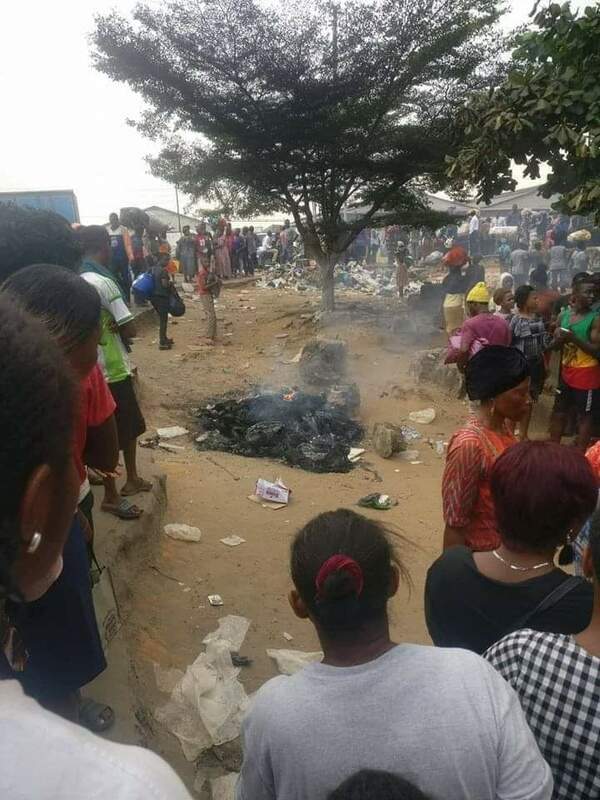 Breaking: Lagos Conductor Stabs Igbo Boy To Death. 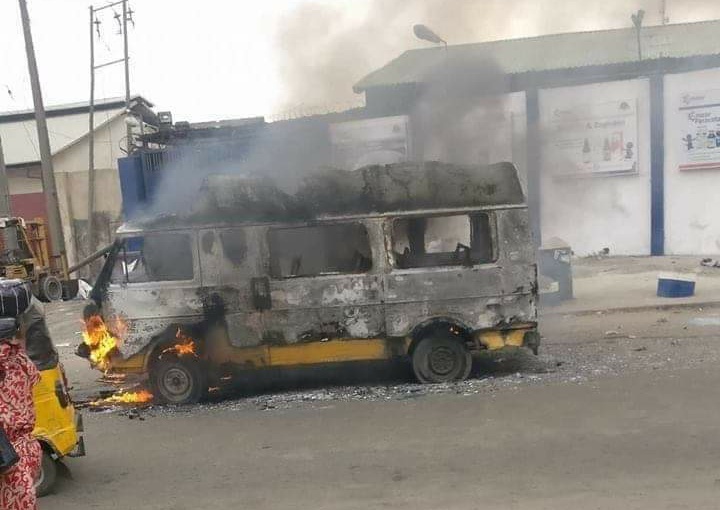 A boy serving his master (nwa boy) for ladipo came down from a bus at five-star bustop Oshodi way, asked the conductor for his change (hundred naira) the conductor picked a fight with him (normal for lagos). According to source, the boy is an igbo boy and has used his igbo bone to beat conductor black blue. Conductor couldn't take the beating so he decided to use weapon. He grabbed a knife and stabbed the boy to death. I don't even know where he got the knife. 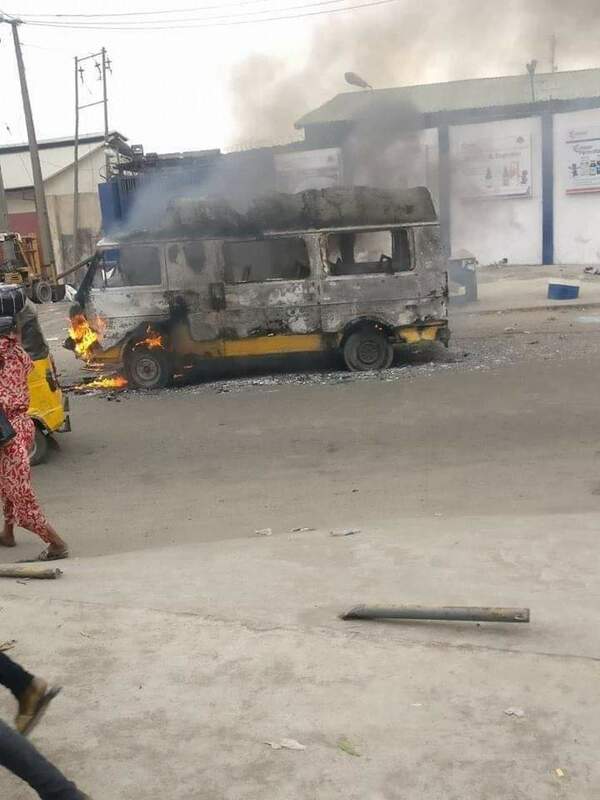 Agboro's plus igbo traders there caught the conductor and burnt him to death went after the driver, he parked and ran for his life they burnt his bus in front of Emzor company. Police couldn't stop them for sure."